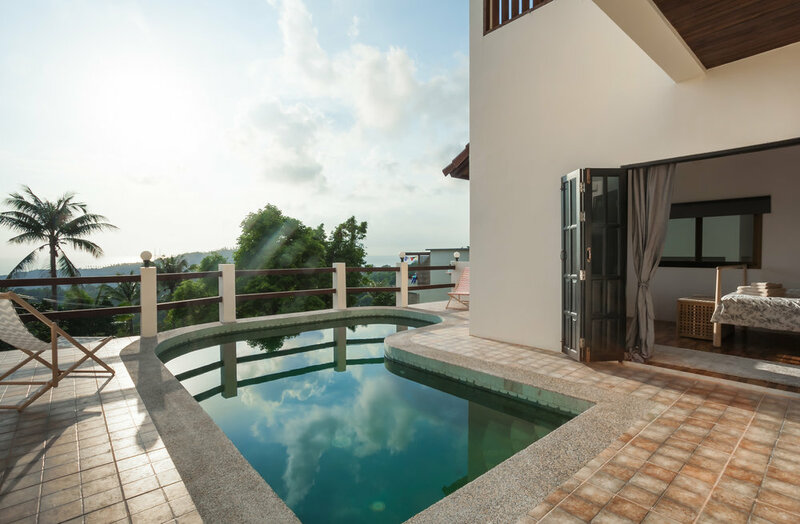 Three Bedroom, Two Bathroom, Boutique Pool Villa with the best sunset sea view on the island. Pool Terrace (36xm2): Sunset side this terrace is spacious and made for relaxing, pool dipping, sunbathing, cocktail drinking, and perhaps simply enjoying the gorgeous sight of the lovely pool that overlooks the beautiful ocean. Kitchen, Lounge, Dining (50xm2): Large open plan Kitchen, Living Room and Dining area with all the trimmings. Flat Screen Cable TV, Wifi, three Seater Sofa and plenty of places to lounge, along with a Dining Table and chairs seating six. 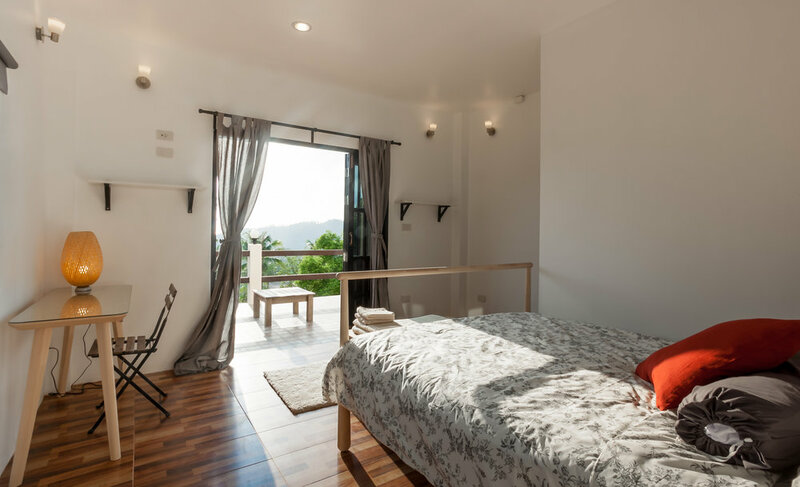 Sunset Master Bedroom (15xm2) with Ensuite Bathroom (9xm2): This spacious bedroom is separated from the rest of the Villa by the pool so benefits from additional privacy. 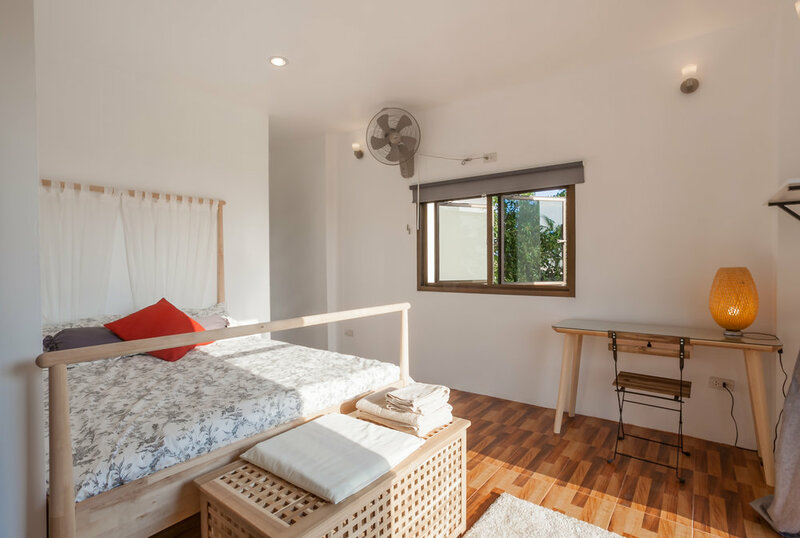 To take full advantage of the sea view this room has been designed with featured windows, and as a result it is full of light and natural sea breeze. Wooden frame double bed, closet space and all modern comforts have been catered for. The Ensuite bathroom, bigger than some bedrooms, is a Bali inspired wetroom. 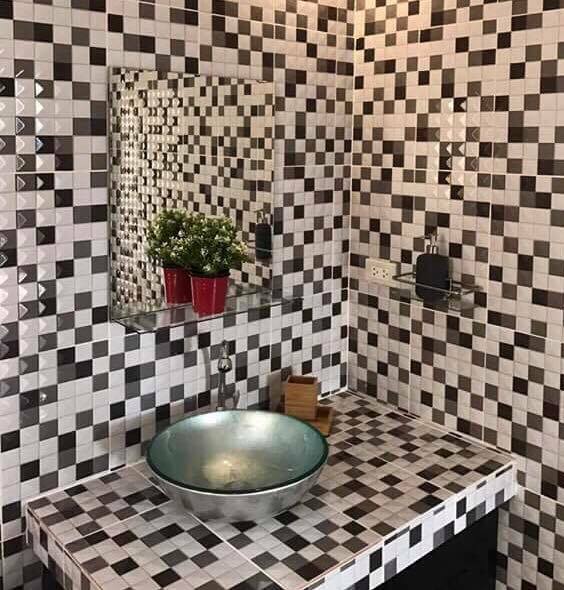 Hot water shower, fluffy towels, luxury toiletries, hair dryer and all western comforts you would expect from a luxury villa. Sunset Bedroom(20xm2): Large French doors open this bedroom up to the Pool Terrace and the incredible seascape on the sunset side. A built-in closet and all modern comforts have been catered for. Sunrise Bedroom (16xm2): On the Sunrise side of the Villa this generous sized bedroom has its own spectacular uninterrupted view. French doors open to the seemingly infinite sea and if you open your curtains early enough you will see the sun rise with nothing else but the sea in its path. A built-in closet and all modern comforts have been catered for. 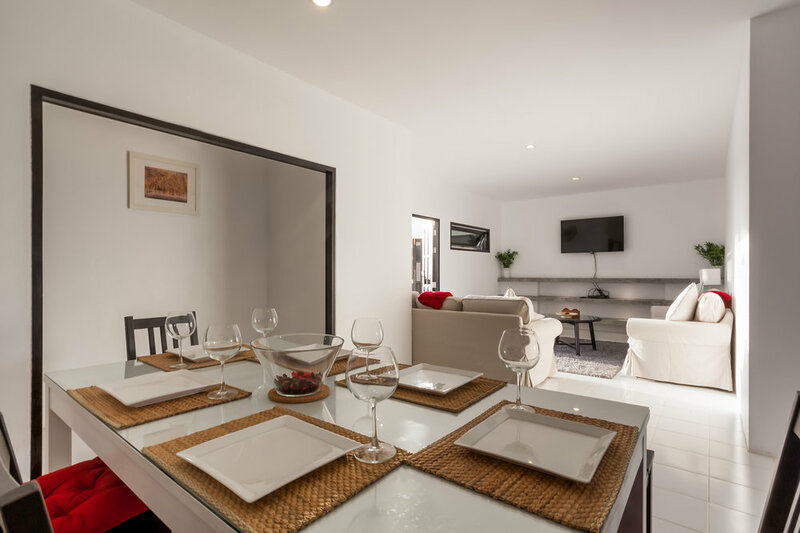 Guest Access: POP Villas is a very large villa split into three separate units all with separate entrances, you will not be sharing your space with any other guests. POP VILLAS: For the ultimate vacation experience why not rent the whole villa? Three floors, two pools and six luxury bedrooms all at your disposal. Find out more HERE.